My follower friends must have been wondering where did I disappear again for last few weeks. This has become a regular trend :-) . Sep 1st is the birthday of my first love and was busy with preparing for his 8th birthday. This time we didn’t celebrate in large scale but had a small fun party at home on the same night. New school session has also started and so trying to cope with new routine. 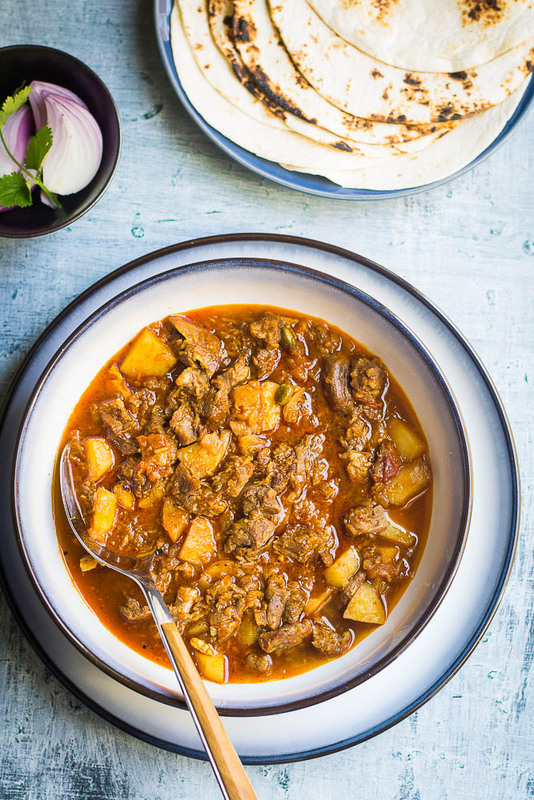 Today I will share the recipe of a traditional but simple meat dish called Mutton Keema curry. The name keema means finely chopped or minced meat. 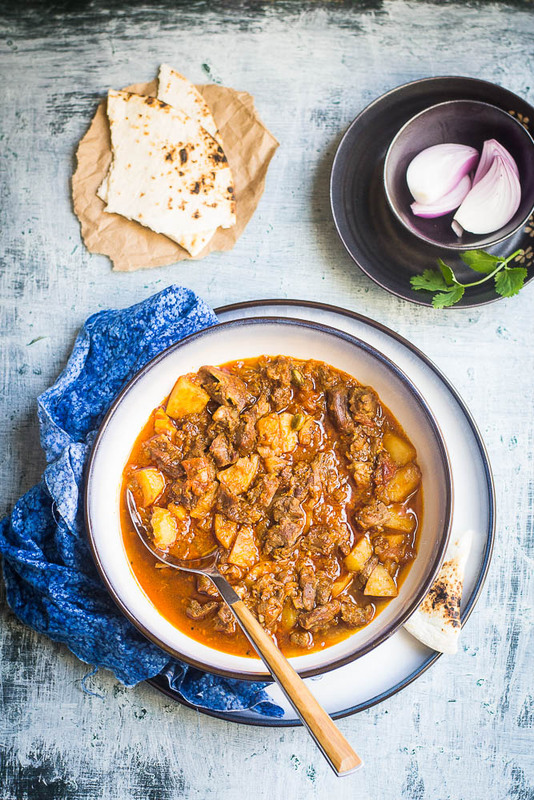 The dish is typically a spicy minced mutton curry with potatoes and flavored with Indian spices. It can be served either with Indian Flat bread or any kind of rice dishes. In our family, we don't eat mutton frequently because neither my son nor my husband is big meat lover. 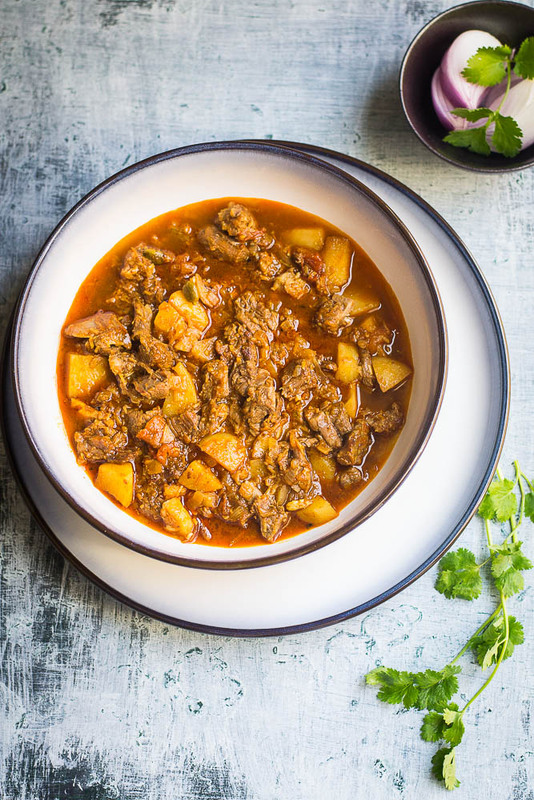 Once in three months, when we like to have goat meat, we stick to our few old favorite dishes rather than experimenting with new dishes. 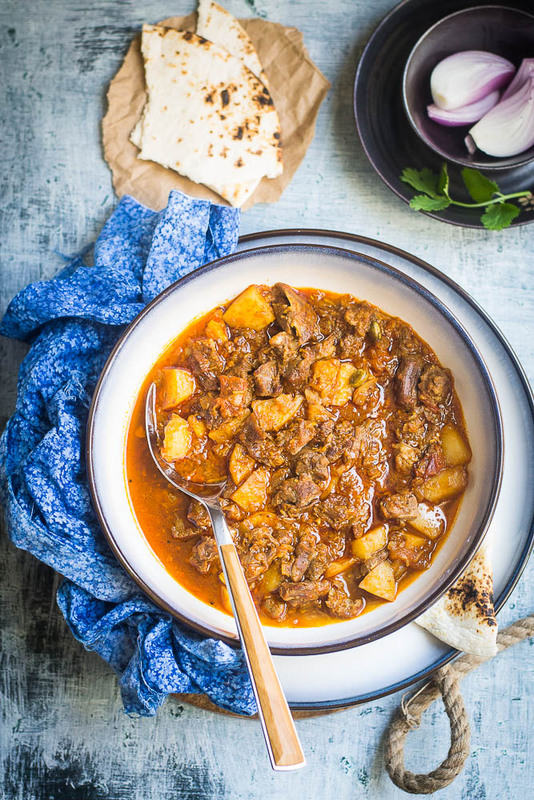 This Keema curry is one of those favorite dishes in my family. Also I prepared this dish for several of the parties at my home and my friends loved it every time. I would prefer to use regular goal meat for this recipe. You can use other meat too like chicken, turkey or lamb. Though the dish is very common, but every household uses different recipes for the same. Come and let's see how I cook Keema Curry. 1. First boil the the goat meat, I use pressure cooker to cook the meat. Take a pressure cooker, add meat and one or one and half cup water and let it boil over medium flame. Wait until 3 whistles come. Switch off the gas, and let the steam release automatically on its own. Open the lid, take the meat pieces out of the cooker and preserve the stock. 2. Now discard the bone part from the meat pieces and cut or tear the meat pieces into smaller pieces. Set it aside. 3. Take a big pan, add two tablespoons oil. Once oil is hot, add the potatoes. Fry it until they are golden brown in color. Once done, take it off from the pan and keep it aside. 4. In the same pan, add the remaining oil and heat it up. Add dry red chili, green cardamoms, cinnamon and cloves. Wait until nice aroma comes up. 5. Add chopped onion, fry it until it is light pink. Add garlic and ginger paste. Cook for couple of minutes. Once raw smell goes off, add turmeric powder, coriander powder, red chili powder and kashmiri red chili powder. Add half teaspoon of sugar and 2 tablespoons of water. Stir and cook it for couple of minutes until oil starts to release from the sides of the pan. Add chopped tomatoes and keep stirring. Add salt and let it cook until tomato has become soft. 6. Add meat pieces, stir and mix it well. Let it cook for couple of minutes until the masala starts releasing oil. Add fried potatoes and stir it again for 5-6 minutes. Add salt. 7. Add the stock and cover it. Once it starts boiling lower the flame and cook it until the meat and potatoes fully cooked. Check the seasoning. Add salt if needed. Add chopped green chilies ( optional ), add garam masala and switch off the gas. 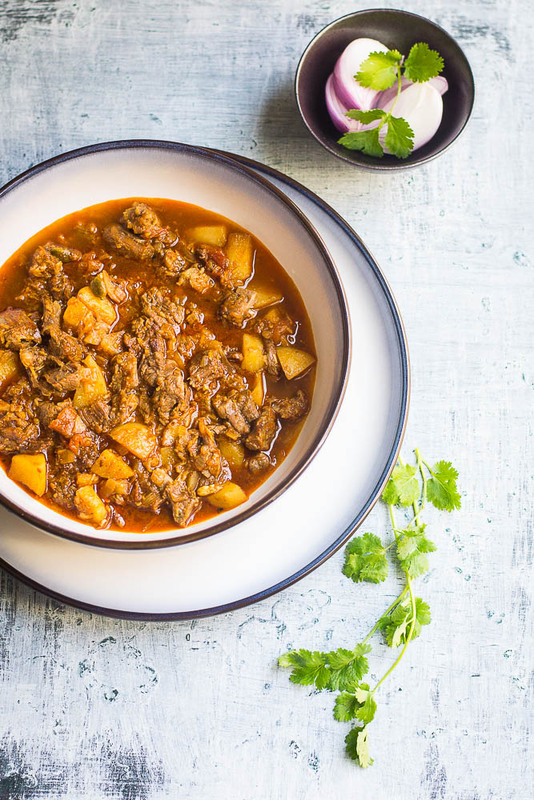 Keema Curry is ready, serve hot with rice or bread.